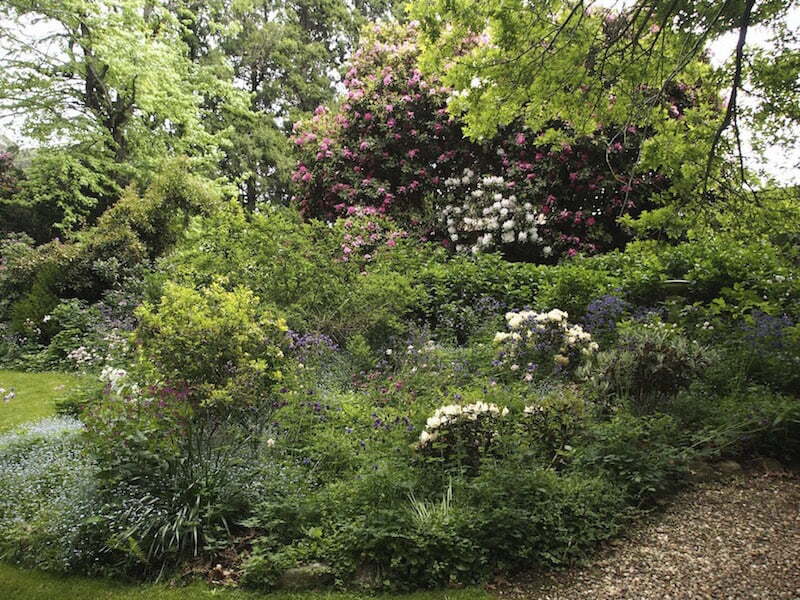 Sarah Ryan’s remarkable Hillandale garden at Yetholme is that of a brilliant plantswoman with a designer’s flair. Compared to the cool subtropical climate of the NSW coast, Yetholme (a two and a half hour drive across the Blue Mountains from Sydney on the way to Bathurst) is a cold place, with frequent heavy frosts and occasional snow. Hillandale is a celebration of all those luscious and free-flowering cool-climate perennials you’ve alway wanted to grow but knew you couldn’t. 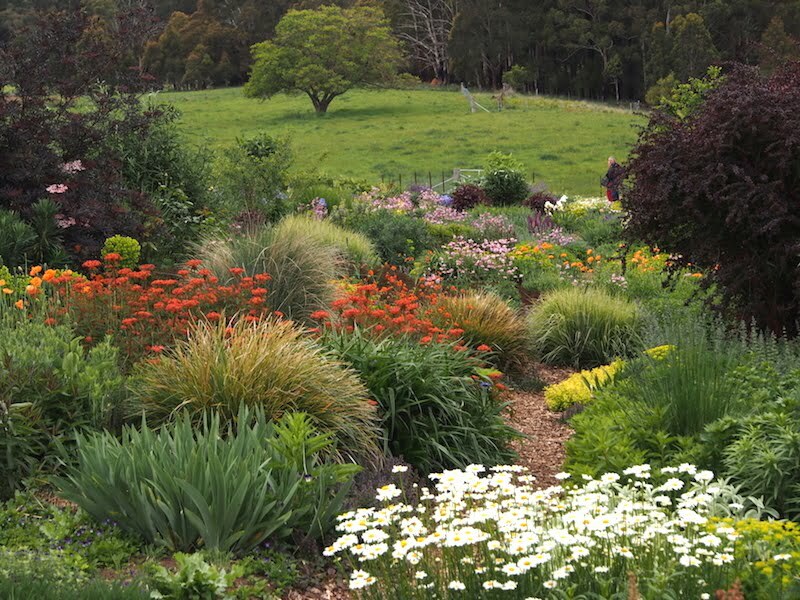 The 2.5 hectare garden is divided into two distinct halves – one open to a wide sky and the full sun needed by many of these perennial plants to reach their flowering potential. And they do! The other is cast into deep shade by the surrounding tall trees, creating a moist gully of ferns around a narrow water rill that runs to a picturesque small lake. Everywhere is evidence of Sarah’s design skill. A good garden is not just about growing good plants, but as much about how you arrange them. In a 120 metre-long flowering border it’s the juxtaposition and density of colours that have to be woven together with an artist’s eye, as well as the plant knowledge that keeps a succession of flowers on show from late October to mid-April. 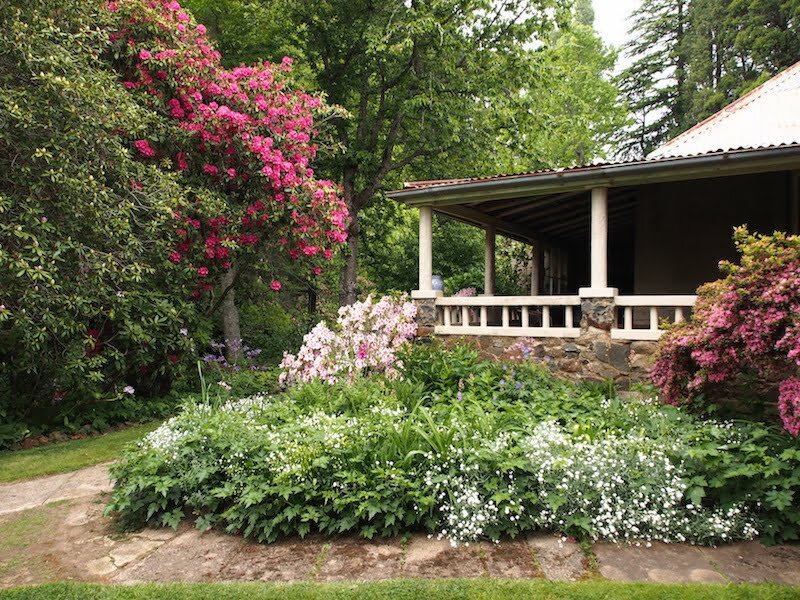 In a shady glen, it’s how to lift areas with brighter sparkles of plants while maintaining a lush, quiet feel. And in a large garden, it’s also the combining of vistas that salute the surrounding countryside and smaller, more intimate spaces that encourage slower movement and the noticing of detail and tiny treasures. Click on any image so see a larger version and then click through the mouth-watering slideshow.